SARINA residents are terrified for their pets safety after a pack of wild dogs has been spotted roaming the area. A post on Facebook from a resident claiming her son's dog had been mauled to death by dingos has sparked a number of comments from other concerned citizens. Nicole Coupland said her two of her dogs had gone missing some time ago, with one coming back with dozens of puncture wounds and the other never returning. Ms Coupland said she had recorded video footage of six wild dogs just 5km out of town. "They aren't shy, they often come right up to peoples homes," she said. "People in the area have had dingos pestering their cats and dogs. It's quite dangerous because they have a tendency to carry a lot of diseases." 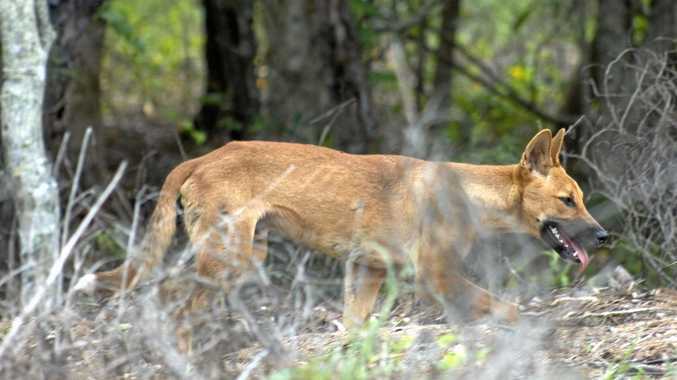 The Mackay Regional Council has confirmed there were recent sightings of wild dogs in Habana, Yalboroo, Seaforth, Sarina, Sarina Beach, Homebush, Eungella, Finch Hatton and Bloomsbury. Councillor Karen May said council's Pest Management team investigated all reported wild dog sightings and attacks. "Once an incident has been reported, we will launch an investigation and monitor the area. "From there our officers will decide what control methods will be most effective." Cr May said wild dogs, which were often crossbreeds, would often come close to rural properties and she encouraged residents to be vigilant. "We also encourage dog owners to keep their pets secured and inside at night time."